In addition to their major, engineering and non-engineering undergraduate students can earn a minor in Materials Science and Engineering by completing eighteen (18) semester credit hours of course work specified below. Students will take ME 2700 - Structure and Properties of Materials I and fifteen (15) credit hours of materials science and engineering elective courses chosen from the list below. Students who complete the 18 credit hours with an average grade of C or higher will receive the designation "Minor in Materials Science and Engineering" on their transcript upon graduation. 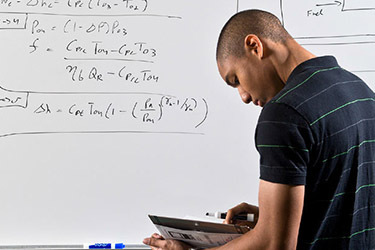 A maximum of two courses that have been applied to another degree program can be used to satisfy the requirements of this minor. View the Minor in Materials Science and Engineering program requirements in the University Catalog. The minor in Materials Science and Engineering curriculum includes courses at the sophomore, junior, and senior (2000, 3000, 4000) levels. Course descriptions and prerequisite information can be found by clicking on a course in the University Catalog. All students, regardless of their major program, are expected to take courses that satisfy the prerequisites of the higher level courses. Performance in all core and elective courses in the Materials Science and Engineering minor is reported as letter grades. No pass/fail courses are offered. Furthermore, to receive a "Minor in Materials Science and Engineering" designation on the transcript upon graduation, the core and elective courses must be completed with an average grade of "C" or better. All students who meet the eligibility requirements for full-major status in the Department of Mechanical and Materials Engineering are able to pursue the Materials Science and Engineering minor. Students outside of the department may also pursue the minor as long as they meet the designated prerequisites for the courses listed above. Students interested in adding the Materials Science and Engineering minor should meet with their academic advisor. Students will be admitted to the Materials Science and Engineering minor after they have been fully admitted to a major program and have earned a "C" or higher in the ME 2700.